As Windhoek Lager is promoted in this country you will see publicity championing the beautiful untouched landscape of its homeland, Namibia and you will be told that the beer is the taste of adventure. In Namibia and South Africa where the beer has a massive following the advertising focuses on the beer's purity and quality. I share some of the TV adverts below. I thought they were pretty funny. I hope you like them too. It would seem that I am going through a lager stage of beer appreciation. On my holiday the only draught beer on the cruise ship was San Miguel, good for refreshment value but if there is a more highly carbonated beer than this I have yet to come across it. Then last week I had the pleasure of the company of the boys from Namibian Breweries and enjoyed supping the Windhoek Lager. There were over 400 beers to judge and six tables of six judges. You don't have to be an arithmetic champion to work out that this was going to be a long day. First up was pale lagers and the second flight was the stronger lagers over 5%. I thought I was being punished for previous indiscretions but given that most of the packaged beer sold in this country is some sort of pilsner derivative, it appeared that most of the tables were on lager and most were now realising it was the International Beer Challenge. Our group was definitely challenged but we awarded some medals to those beers which were clearly better than standard. Next up was a group of golden ales, where I found my beer of the day, a beer with a dominant hop aroma and bursting with citrus and spicy flavours. An clear gold medal for me and the judges were unanimous. I'll be very interested to learn what this beer was when the results are announced in a week or so. After lunch we moved onto best bitters, dunkels and other dark beers, and closed the afternoon with Trappist, trippel and Abbey beers which livened up my tired palate no end. My day was complete when my body finally rejected a mouthful of water which came straight back up and nearly nearly sprayed over fellow judge, Richard from the Rake/Utobeer. Some went to the bar for a pint, others went of to the Rake for an Italian beer tasting. I went straight home after the most exhausting day for a long while. Who says this is easy ? It was a fun day and always interesting to drink beer in the company of experts. Although I knew many people in the room, there's always new people to meet who have similar passion for beer as myself - particularly those who are lucky enough to work in the industry rather than us enthusiastic consumers. 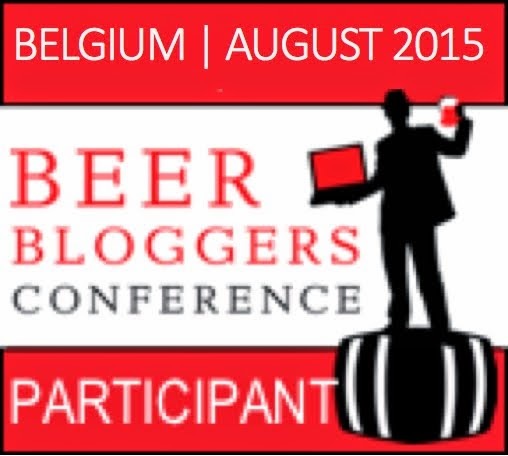 If you are interested in the results, you will find them at www.ibc-awards.com in due course. There have been times when I have been accused of attending the opening of an envelope but I am firmly of the opinion that it is only polite to attend any beer event if someone goes to the effort of extending an invitation. It is also my experience that the more reliable you prove to be, the more good times you are likely to have. Now, you know that I am no lagerboy so it was with some nervousness that I trotted off to the UK launch of Windhoek Lager, Namibia's most popular beer held last week at the National Geographic store in Regent Street. Windhoek (pronounced Vint-hook) is the capital city of Namibia and the lager of the same name is brewed and bottled by Namibian Breweries Limited. It also has a massive following in South Africa with output of over 2 million hectolitres and exports over 50% to 22 countries worldwide. The UK launch is being led by mega drinks group, Diageo, who own 14% of Namibian breweries (Heineken own 14% too, the rest is still in private hands, I believe). Diageo is currently weak in the UK beer sector, notwithstanding the success of Guinness. They have the rights to distribute and market 13 or 14 other international lagers but it is Windhoek that has been chosen for their next major push into the World beer market and they hope to build it into a major UK seller within two years. Namibian Breweries has a family heritage that remains with the founder's great grandson, Sven Thieme in charge today. Sven speaks passionately about the company (and the beer)'s heritage but is also just as proud of Namibia itself. Just a short conversation with him makes you want to visit such a beautiful country with its untouched landscapes and vast open wilderness. The head brewer, Christian Muller is even more passionate about the beer. While conceding that the output is massive, he is adamant that quality is never compromised by using the industrial size brewing plant and loves to talk about beer and brewing as much as any British brewer I have ever met. I have yet to meet someone in this business that I don't like but these two guys will do as much to make sure that Windhoek is a success in this country as any financial weight that Diageo are able to throw behind it. The brand ambassador is an absolute headcase and it will be fun to see how much we see of him in the promotion of the beer here. Adventurer, Riaan Manser could talk the hind legs off a camel but he has plenty of stories to tell of his solo 38,000km cycle around Africa followed by paddling a canoe around the coast of Madagascar. Slightly mad ? Yes, I think so ! The main point of difference for the beer itself is that it is African and should do well due to the imminent world cup tournament and the subsequent legacy that Africa will enjoy but the real test is in the taste. The beer is brewed according to the German purity law, Reinheitsgebot, with a nod to the German founders of the brewery, and both the malted barley and the hops are imported from Germany. 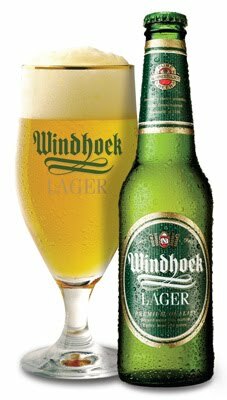 Windhoek Lager is a 4% helles style lager, brewed slightly weaker at 4% to suit the African heat, and served ice chilled in a glass rather than from the neck. The head pours white and fluffy but disappears quickly. There is grassy hop aroma that increases if you let the beer warm up and the malty sweetness in the mouth gives a dry, crisp flavour without being cloying. In brief it is an accomplished, inoffensive, clean tasting, easy drinking beer. This is never going to be my first choice beer, preferring a more full bodied ale with more distinct hop character. It would not even be my first choice lager style beer for the very same reason. I am not even in their target demographic customer base of 25 - 45 but there is definitely a place for this beer for me and a real chance that Windhoek is now my first choice barbecue beer - nudging aside my long term favourite to refresh while heating the coals, Becks. The beer already has listings at Tesco and Morrisons and retails at a reasonable £4.29 for four 33cl bottles. The price in Namibia is less than a pound for a 75cl bottle and the scenery's nicer there too. 1001 Beers You Must Try Before You Die is the latest collection of beers, photos and tasting notes to make you thirsty and keen to travel. This one is a bloody monster, with 960 pages, weighing over four pounds and includes (obviously) over a thousand beers. Leading beer writer, Adrian Tierney Jones has put together this collection and is credited as "general editor" but the point of difference for this book is that he has cajoled over 40 of the World's best beer writers to do a lot of the legwork and write many of the reviews. This has the benefit that each page you turn to is written by someone different and this makes it more readable and enjoyable to dip in and out of. It brings back memories of beers that we have enjoyed and increases the ambition to try others of the world's greatest beers many of which are becoming more available in this country but many others that will require a journey. The illustration is strong with hundreds of colour photos, mostly of beer, bottles and glasses, but many also of labels, breweries and old adverts. The typeface is easy to read for such a large tome with a maximum of two beers per page. With 1001 beers an index is essential and the book has two for that reason. At the front we can find a list of beers by country and at the rear a list by brewery. There is no real need for an index by beer style as the book itself is separated into five chapters, Amber, Blond, White, Dark and Specialty. Although most of the beer reviews include the story of the beer or brewery as well as the tasting notes this book majors on the beers themselves - there are no chapters on beer and food, no maps, no travel notes, no chapter on how beer is made - it showcases beer and beer alone, cramming in 1001 and for that reason it is an absolute winner and another necessary volume for any collection. Cover price is £20 but mine came from Amazon at a very reasonable £13.50 - for such a heavy book, the postage was probably that much alone. If there is one job I have to apply for this year it is the volunteer position of The London Ale Taster. London's historic Old Spitalfields Market has announced that it's going to resurrect this ancient role that disappeared from London some two hundred years ago. 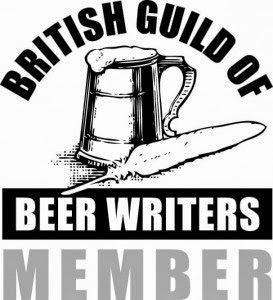 The full details are at www.londonaletaster.co.uk should you want to join me in applying or, indeed, just going along to the event on the 9th June for what looks like a fun beery day out. Right, back to that application. Bloody Hell ! I bet you thought I had run off to join the loonies. If half of the visitors here disappeared over the Christmas break, I guess the other half have now left following my holiday. I have just been away for two trips. The first was a Beer and Battlefields 5 day tour in Belgium with Podge's Tours . More on this later but, suffice to say, if you have not yet come across Podge's Tours, they now have wholehearted Beer Justice approval. Having left Mrs W at home for close to a week, she was insistent that she also get a break away. I tried to convince her that a short break to Ghent or Antwerp was best, I even had my eye on The Football Pub in Rome and was close to convincing her but something a little more upmarket was required and a Mediterranean cruise was booked at the last minute. Again, more about this anon but boy, if you want to eat 24-7, this is the holiday for you. San Miguel for a week is less recommended though - far too gassy for my tender tummy. Anyhow, for those who showed concern, I am back in circulation and have plenty in the diary so I will hopefully now be bringing more of the same sort of stuff that has grown the readership to double figures over the last couple of years. By the way, get well soon to a loyal visitor to this blog, BryanB, who was on the receiving end of a Viking's axe a short while ago.